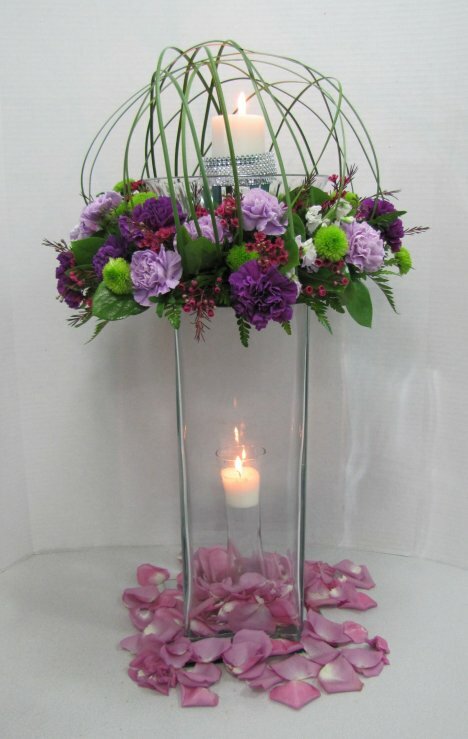 Wreath designs can be used in different ways in a wedding. 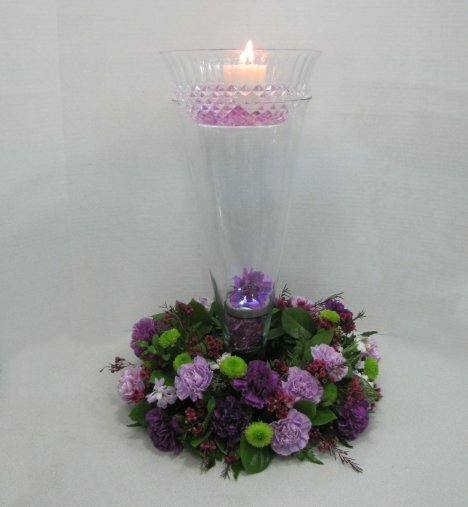 Along with the traditional table centerpiece, consider using it around a unity candle or as lovely candelabra decor. 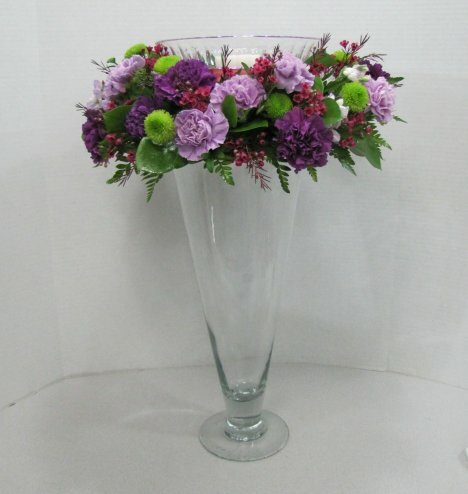 As a centerpiece, you can start with a clear trumpet vase and make your eyes go higher that the table top! Using an Oasis Design Ring means there is a bottom plate that allows you to balance the wreath on the lip of the tall vase. 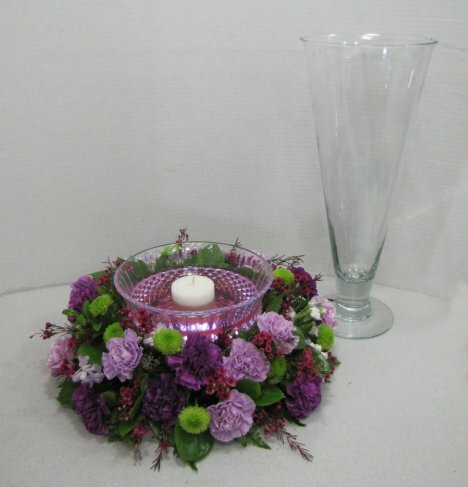 If you want the wreath on the table, set the vase inside the wreath and then rest the crystal bowl in the lip of the vase with floating candles for the flicker of candlelight. 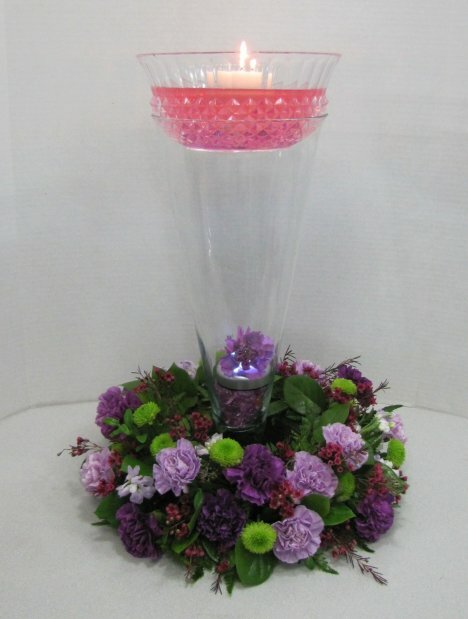 For more sophistication, add some colored lights and flowers INSIDE the vase as well as the outside. Remember, however, that it's hard to have candlelight without oxygen, so the inner lights have to be battery operated. For a different look, put the grass armature wreath on top of a square vase and scatter fresh rose petals around the base of the centerpiece.